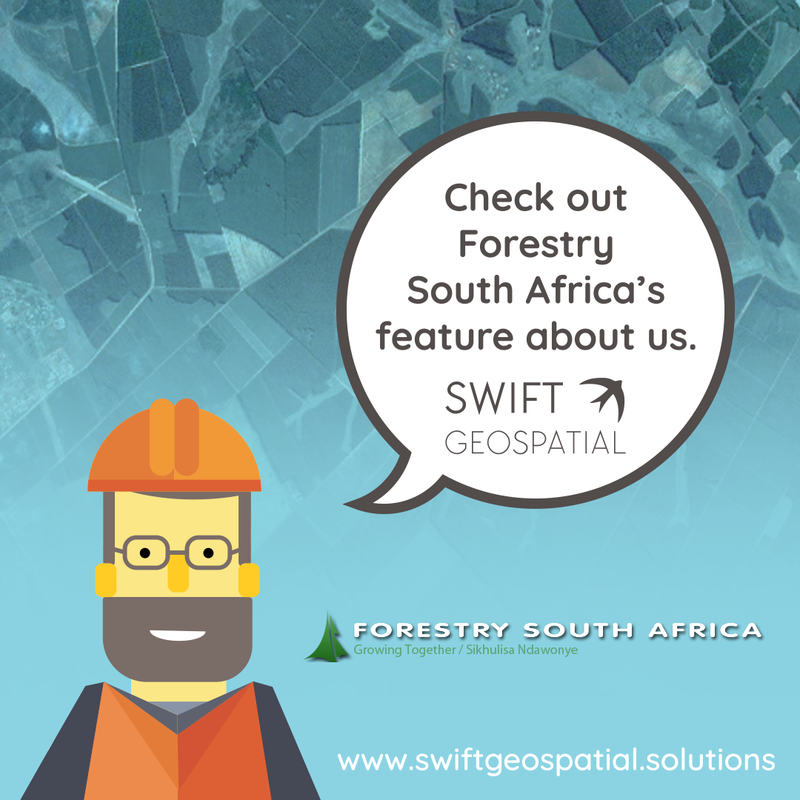 Swift Geospatial was recently previewed in Forestry SA for the month of August 2018. This article delves further into our innovative forestry monitoring solution using the latest in high resolution satellite imagery. This system is capable on a daily/weekly basis of providing valuable information throughout your plantation for compartment/stand health, harvesting tracking, illegal logging and many more. For the first time you will be receiving valuable near real time information for your entire plantation whereby you will be able further support your organisation, for further information please visit the Forestry SA article or our Forestry Monitoring page on our website.